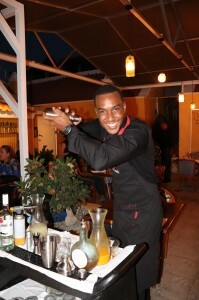 WILLEMSTAD - The Curaçao Culinary Team organized a successful Cookout event in which they showcased their best dishes and cocktails to over 40 guests. The event was held at CHATA Member Mosa Restaurant on Monday June 4th. Every year prior to the Taste of the Caribbean Competitions taking place in Miami, the Curaçao Culinary Team hosts several events where the public can taste their succulent creations. The aim of these events is for these young professionals to raise funds for their participation in the international competition and put their skills to the test in an environment with real customers. 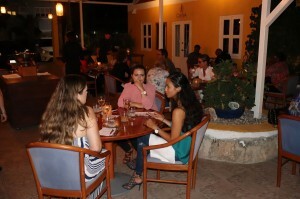 Guests were pleasantly surprised by the creations of the team. According to one of the guests: "The dessert exceeded my expectations. It was similar to a dish served in 5 Star Restaurants. I have great confidence that the team will bring home more than 1 medal for Curaçao". The participation of the Curaçao Culinary Team at the taste of the Caribbean Competition is made possible through the voluntary contribution of many. CHATA is especially thankful for Mosa Restaurant, Dani's Fruit Center, Licores Maduro and Margil Party Rentals who were sponsors of the Cook Out Event.